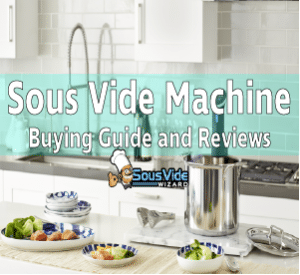 If you have ever been watching the Sous Vide machine market with a keen eye, you would notice that machines that feature immersion circulators are very trendy at the moment. My first guess would have to be the all around great experience that using such a technique provides. This all stems from the fact that when water is heated in such a way, you never have to worry about your food not being cooked evenly. Because the water is constantly circulating, no corner of your pot remains without traction. That is just the norm these days, does this model bring anything new to the market or is it just another small fry in the wide and deep sea? 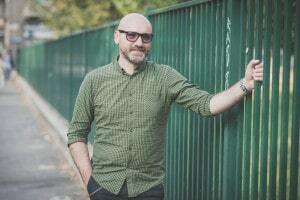 This article will aim to find that out! Let me explain the coloring thing because I believe that this is a great addition. Most of the time, you will only have one color featured and if you are not paying close attention to what is going on, the readings will be hard to differentiate. It just makes things much simpler with the addition of another color, white in this particular model. I feel as if it is much easier on the eye and it also gives me more space to concentrate on other things, such as the actual settings themselves. The screen is huge and is just an added bonus. I believe that having a sizeable screen is going to become the norm in the future, nobody wants to crouch or get close to an inch of the machine, just to get to the readings. When we are talking about such a delicate craft as cooking, precision, skill, and experience are the first things that come to my mind. This is all swept away by a Sous Vide machine and especially by this model. 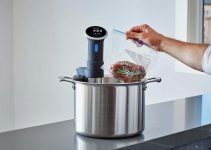 Let me explain, not only does this machine designed for Sous Vide cooking feature an immersion circulator that by the way lets you cook your food without having to attend to it. Coincidentally, it also has a locking clip that simply lets you load or unload your food in mere seconds, trumping all others when it comes to this department. I also liked the fact that I could simply push a button and be done with it all, no additional nurturing was required as the machine was basically doing the job for me. Let’s not kid ourselves, if we really want to get some high-quality food on the table, we have to take into account every small nuance on the way. That means that every tidbit has to be perfect curated for the occasion. This precipitates a carefully crafted plan on how long the food should be cooked and on what temperature. The latter is especially important as a few degrees might not mean much to you, but only a small change in temperature can change the tenderness of your meat or even the crispiness. That is why this model allows you to modify your temperature on a scale as small as 0,1 Celsius Degrees! It’s a rare sight to behold that a company puts that much effort into upholding their professional image and I’m really glad that I could opt in for such a great piece of Sous Vide equipment! 4) A Very Powerful 850 Watt Output Will Rock Your Food! Most of the time, suvee machines feature outputs in the 700-800 Watt range but this one is a bit different. The company realizes that even just a small bump in this department can lead to massive improvements in the amount of time that is needed to cook your meal. 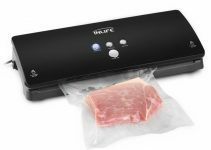 We are all well aware of the fact that Sous Vide equipment is known for taking a long time to finish and this is a nice way of combating that small defect. This is just personal preference at this point, but I felt like the machine itself was a bit too wide for its own good. Also, the grip on the handle felt really unintuitive so it did take some time to get used to it. 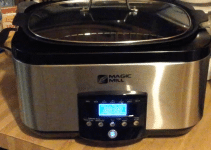 One of the best and most powerful machines on the market, definitely recommended for anyone that wants to create high-quality food in their home!